NEW BRITAIN - Survivors of one of the bloodiest battles in Marine Corps history are dying at an increasing rate. 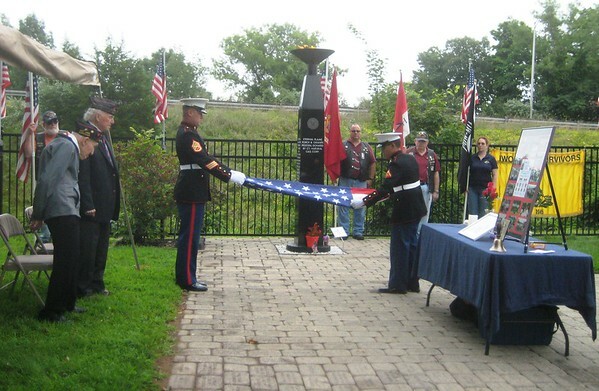 Three Connecticut men who fought in the Battle of Iwo Jima during World War II died in July. 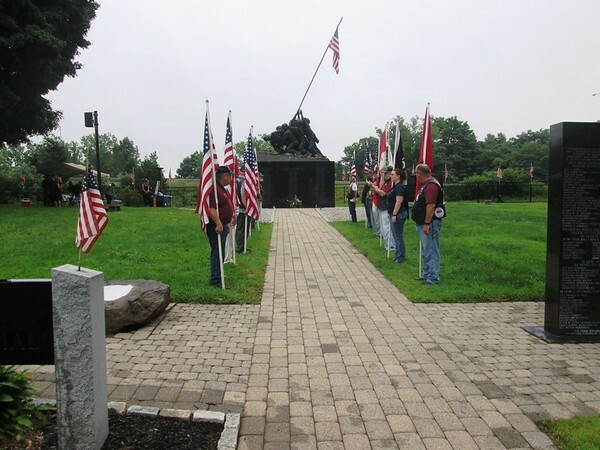 One of those who died helped create the Iwo Jima memorial in New Britain and Newington. Most of the battle veterans still around are well into their 90s. 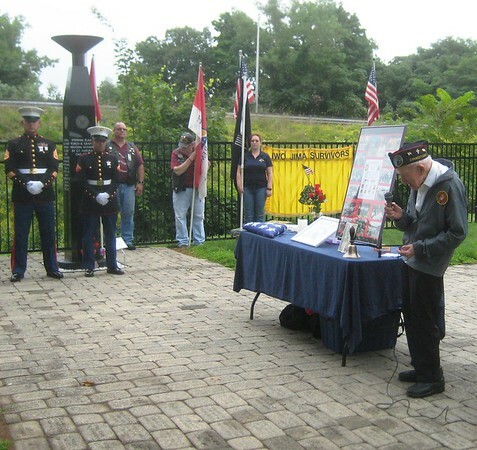 The Marine veteran participated in a memorial service for fellow Iwo Jima survivor Sam Girasuolo on Aug. 1 at the National Iwo Jima Memorial on the New Britain-Newington line. That day would have been Girasuolo’s 95th birthday. He died on July 26 at Apple Rehab in Meriden, leaving three children, three grandchildren, three great-grandchildren and a great-great-granddaughter. Girasuolo served in the 5th Marine Division and 8th Field Depot in the Pacific. 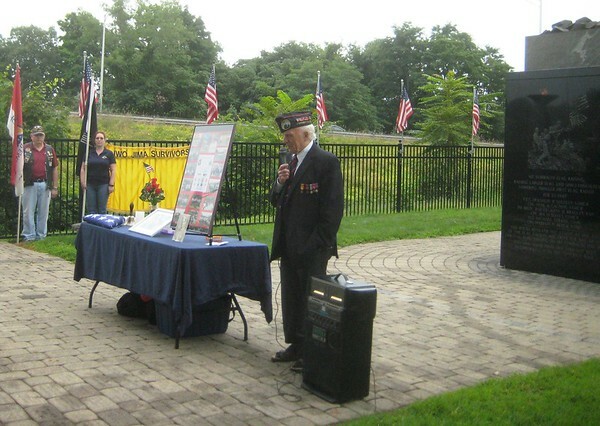 He went on to become president of the Iwo Jima Survivors Association of Connecticut, helping to build the monument and park where multiple generations of family members gathered in his honor. “It was a beautiful, touching tribute to him,” Gail Buchanan, his daughter, said afterward. The monument bears the names of the 100 Connecticut men who died on Iwo Jima, among 7,000 U.S. soldiers lost during the island’s capture from the Japanese. There has never been an official count of the state’s survivors, although Roy can name about a dozen who still participate in events at the park. According to the U.S. Department of Veterans Affairs, less than one-third of the 16 million Americans who served in World War II were still alive in 2017. Of those, 8,879 were in Connecticut. On July 20, Waterbury native Herbert Schlander died at 94. A World War II Marine who was injured in combat on Iwo Jima, he was survived by four children, six grandchildren and four great-grandchildren. Schlander was a popular resident of the Bradley Home in Meriden, according to his obituary. The most recent Iwo Jima survivor from Connecticut to die was Robert Warner, of South Windsor. Also a Marine veteran, Warner died on July 29. His obituary described him as a “proud American patriot” who went on to coach youth athletics, lead a Boy Scout troop and volunteer with Meals on Wheels. Warner left behind two children and three granddaughters. Other battle survivors who have died within the last few years were Stanley Dabrowski, George Caron, Ray Greene and Tom McMellon, all frequent visitors to the park. Those who are still living make their way to the monument as often as possible to pay their respects. Roman and fellow survivor Vincent Thomas read eulogies at Girasuolo’s service. Thomas and Girasuolo first became acquainted in the trucking business in 1949. It would be decades before they discovered another commonality - their service on Iwo Jima. “I knew Sam for years; he was a wonderful guy,” he said. 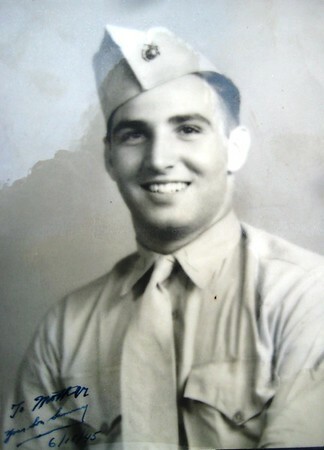 Roman was a radio operator with the 3rd wJoint Assault Signal Company, 3rd Marine Division. He provided information to fellow Marines at Iwo Jima until March 26, 1945, when the U.S. gained control of the island. Joining the association has given Roman an opportunity to talk about the war with others who served. Posted in New Britain Herald, New Britain on Wednesday, 8 August 2018 21:31. Updated: Wednesday, 8 August 2018 22:13.